The program started with a prayer followed by the welcome address by Head of the School, Ms.Roopal Pandya. The School Director, Kashish Goyal declared the Sports Meet open by releasing balloons into the clear blue sky as a symbol of hard work and ultimate success. The next event was an energetic march past by the tiny tots. The torch was lit. 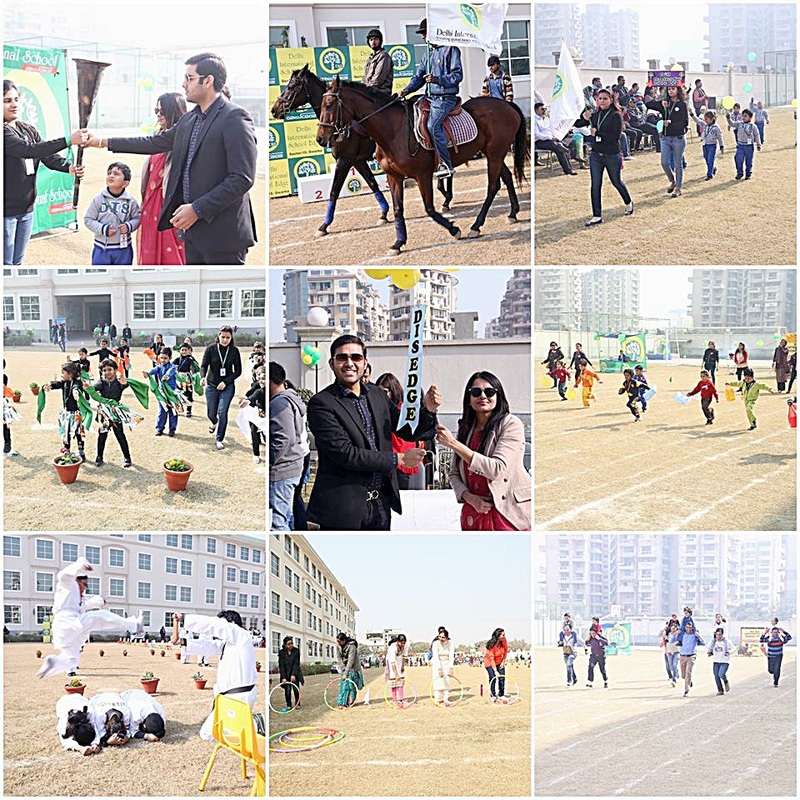 A plethora of sports event place in which the contestants involved themselves in the true spirit of sportsmanship. The mass drill performed by the students of Nursery and KG enthralled the audience. Class 1 and 2 students displayed karate. The audience were enraptured to see the Taekwondo display. The parents participated with vigour in races. The program ended with the prize distribution. Yes, Bathroom is also source of energy…!